Children go through distinct periods of development as they grow from infants to young adults. During each of these stages, multiple changes in the development of the brain are taking place. What occurs and approximately when these developments transpire are genetically determined. However, environmental circumstances and exchanges with key individuals within that environment have a significant influence on how each child benefits from each developmental event. Ages and Stages is a term used to outline significant periods in the human development timeline. 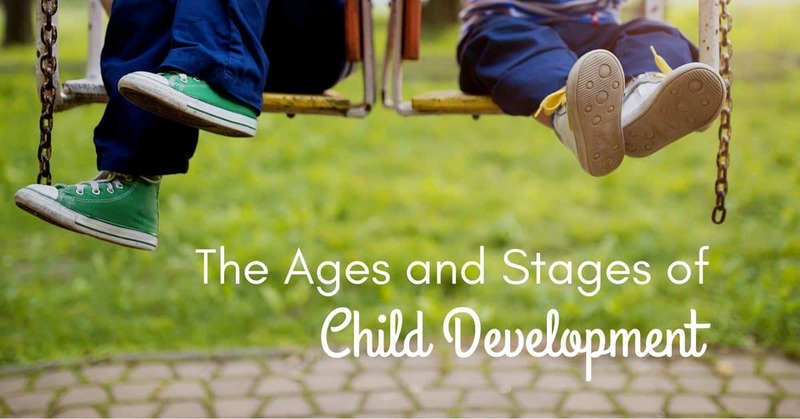 During each stage, growth and development occur in the primary developmental domains, including physical, intellectual, language and social-emotional. Our goal is to help parents understand what is taking place in their child’s brain and body during each period, with the hope that they will be able to provide the necessary support, encouragement, structure, and interventions to enable a child to progress through each stage as smoothly and successfully as possible based on each child’s unique set of traits and interests. Raising a baby, especially for the first time, is both exciting and challenging. This is a time for developing the bonds that will last a lifetime, providing the child with the inner resources to build self-esteem and the ability to relate positively to others. It is also the time for parents to begin to discover who this new person is. Each child is unique, and it is imperative that parents learn to understand, respect, support and encourage the unique characteristics and abilities of each child. During this developmental stage, a major challenge is developing what psychologists call emotional regulation. “Meltdowns” are common during this period but parents can use the bond developed during infancy to help the child learn to modulate their emotional expression and begin to grasp the difficult concept of delay of gratification. While they instinctively seem to be able to say “No,” toddlers also need help in learning how to accept “No” from others. This is also a stage of rapid physical and intellectual development, preparing these children for starting school, which includes interacting cooperatively with peers while at the same time being able to compete physically and intellectually. A child’s parent is in the position to be a coach providing just the right combination of encouragement, support, and guidance. Parents also need to serve as the primary teacher for the mastery of fundamental learning and encourage active discussion and experimentation of new concepts and skills. Preschoolers are emerging from toddlerhood to a new world of exploration and formal learning. Most have started or will start preschool or prekindergarten and complete this period of development by entering formal school in either kindergarten or first grade. Because kindergarten has become more academic and often mirrors what used to be first grade, children usually start kindergarten around the age of six. Preschoolers are open to learning numbers, letters, beginning reading, and simple math. This is also a critical period for learning music. They are improving their gross motor and fine motor skills, which gets them interested in art, crafts, and all kinds of ride-on toys (wagons, scooters, bikes, etc.). They are also developing early sports skills, which often leads to participation in organized sports by the end of this developmental period. The most important mode of learning during this period is playing. Make believe play of all kinds is attractive and fosters the development of language, socialization, and creativity. Interest in exploring their environment promotes early interest in science. They also like to build things out of items around the house as well as building sets such as Legos, Kinex, blocks, and others. Raising school-age children can be an enjoyable experience. Watching them try new activities, cheering them on at athletic events, and applauding their accomplishments at recitals are usually some of the high points for most parents. However, achieving success is often preceded by frustration and sometimes learning to accept one’s weaknesses as well as celebrating and building on strengths. Well equipped parents can be excellent coaches for their child no matter what the endeavor. While toddlers and preschoolers need constant supervision, school-age children become gradually ready for more independence. However, learning to make good choices and exercise self-discipline does not come easily for many. Parents need to impart a moral code that the child gradually internalizes. As children struggle with these essential tasks, parents must be able to provide praise and encouragement, but they must also allow their kids sometimes to experience the natural consequences for their behavior or provide logical consequences to help them learn from mistakes. Middle School is not fondly remembered by most who attend. It is often fraught with scary body changes, bullying by peers and a new surge for independence. This leads to passive-aggressive behavior (“I’ll do it in a minute.”), self-consciousness (“What are you staring at?”) and self-doubt (“I’m not good at anything.”) and/or over-confidence (“Well, I thought I could do that.”) and of course moodiness (“Leave me alone.”). High School is usually better for most. It is a time to begin defining one’s self and realistically contemplate the future. Skill development is accelerated to prepare for college or job training programs, and talents are perfected. Social skills are honed, and relationships take on more of a serious nature. Peer pressure is at its max, and in today’s teen society there are more tempting sidetracks than ever. During adolescence, kids need their parents more than ever. Research shows that in a positive family environment, including fun family activities, open parent-child communication, and encouragement to participate in positive extracurricular activities, teens can navigate these years with relative ease.